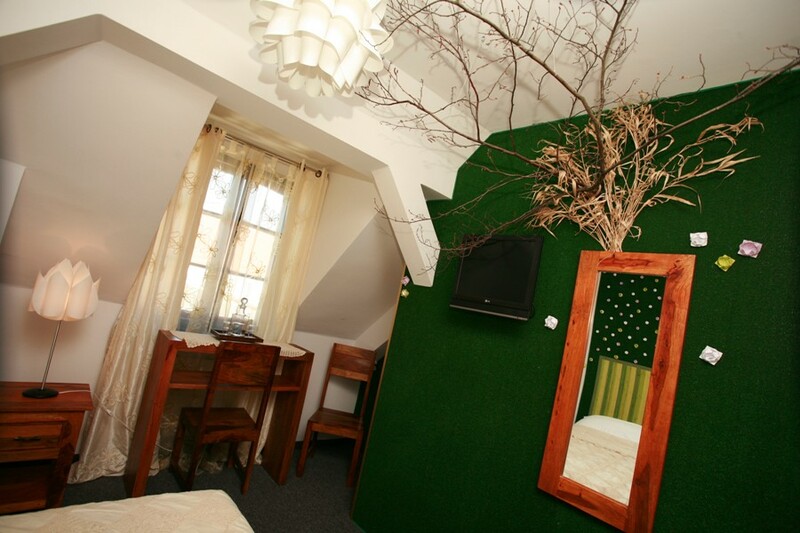 A breath of true Spring… – green grass grew on the walls as well as cute paper flowers. Intimacy of this room is emphasized by a ceiling which is characteristic for the attic rooms. Charming room – ideal for the chilly evenings.